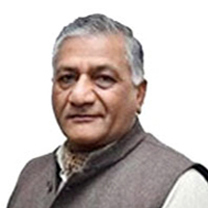 General Vijay Kumar Singh, PVSM, AVSM, YSM (Retd), an alumnus of Birla Public School, Pilani and National Defence Academy, is the current Minister of State for External Affairs of India under the Narendra Modi government. He has represented India at several bilateral and multilateral events and Special Assignments in Asia, Africa, Latin America & the Caribbean region and Europe. General Singh has served as Minister of State (independent charge) for the North-East Region in the NDA-led Indian Government till 2014. He has also held the office of Minister of State (Independent Charge) under the Statistics and Programme Implementation portfolio in the NDA government. During his military career, Singh served as the 24th Chief of the Army Staff from 2010 to 2012. General Singh was awarded Yudh Seva Medal for operations as part of IPKF in Sri Lanka, the Ati Vishisht Seva Medal (AVSM) for distinguished service while commanding a counter-insurgency force in 2005 and Param Vishisht Seva Medal in recognition of his exceptional and distinguished services in the Eastern Theatre in 2009. After his retirement from the military, he joined the Bharatiya Janata Party (BJP) in 2014 and was elected Member of Parliament of the Lok Sabha in the Indian general elections 2014 from the Ghaziabad constituency of Uttar Pradesh. 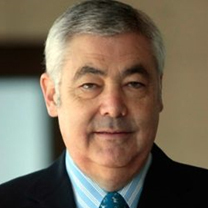 Mr. Frei is a Chilean politician and civil engineer who was President of Chile from 1994 to 2000. He was also a Senator, fulfilling the role of President of the Senate from 2006 to 2008. His father was Eduardo Frei Montalva, who was also President of Chile from 1964 to 1970. 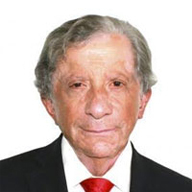 Mr. Frei received his schooling at the Luis Campino Institute and attended the University of Chile, where he graduated as a Civil Engineer and specialized in hydraulics. After graduation, he followed advanced courses in management in Italy and concentrated on his profession, as one of the partners of SigdoKoppers S.A., the largest engineering company in Chile. In 1988, Mr. Frei founded and promoted the Committee for the promotion of free elections. In 1989 he was elected Senator for Santiago, obtaining the highest amount of votes in the whole country. In the Senate, he presided over the Treasury and Budget commission, and was a member of the Housing commission. In 1992, Mr. Frei participated in the primary presidential elections of his coalition, where he defeated Ricardo Lagos, and then went on to win the presidential elections in 1993. Frei’s presidency was notable in making improvements in health and education, together with reducing poverty. On March 11, 2006 Frei became President of the Senate, like his father, who was also President of the Senate after being President of the Republic. In 2009-2010 elections, Frei ran for the presidency of Chile for a second time, again as the candidate of the centre-left Concertation center-coalition, promising continuity of the popular outgoing President Michelle Bachelet’s path. In the first round of the elections, held on December 13, 2009, Frei held 29.60% of the official vote, second to his opponent Sebastián Piñera, who led with 44.05%. Since neither candidate received more than half of the total votes, a run-off election was held on Sunday, January 17, 2010. The first preliminary results announced by the Deputy Interior Ministry at 21:00 GMT on election day gave Piñera 51.87% and Frei holding 48.12%. Frei conceded to Piñera at 21:44 GMT. 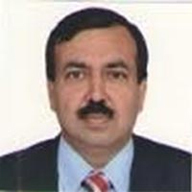 Shri Yudhvir Singh Malik belongs to the 1983 batch of Haryana IAS Cadre. He has been Secretary of Ministry of Road Transport & Highways since June 2017 is currently responsible for India’s 18 billion-dollar highways development programme and the country’s road safety initiatives like Golden Quadrilateral, Sethu Bharatham and Char Dham projects. 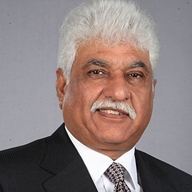 Prior to his present assignment, he served as Chairman, National Highways Authority of India, where he introduced a number of systemic initiatives besides bringing a quantum-jump in the road construction in the highways sector. During 2015-2016, he served as Additional Secretary and Special Secretary in NITI Aayog. 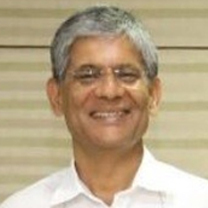 He has also held the position of CEO, Food Safety and Standards Authority of India (FSSAI) under the Ministry of Health & Family Welfare, and Joint Secretary in the Ministry of Corporate Affairs (2004-2008), where he led the implementation of MCA 21, one of the path-breaking IT initiatives of the Government of India. 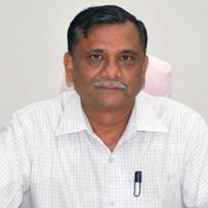 Back home in the State of Haryana, Mr. Malik has served as Additional Chief Secretary and Principal Secretary in departments of Revenue & Disaster Management, Mines, Industries & Commerce, Environment & Forests. Mr. Malik holds degrees of Masters in English Literature, Development Management with distinction, and Journalism and Mass Communication. He is the recipient of Prime Minister’s Award for National level excellence in Public Administration for his outstanding contribution in the team initiative – MCA 21, an e-governance project for the year 2008. Mr. Yáñez was appointed Director General of International Economic Affairs (DIRECON) at the Ministry of Foreign Affairs on March 11, 2018. 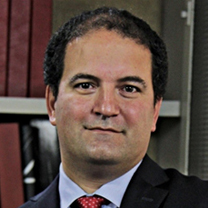 Mr. Yáñez holds a Law Degree from Pontificia Universidad Católica de Chile (PUC) and a Master of Science in Regulation from the London School of Economics and Political Science (LSE). 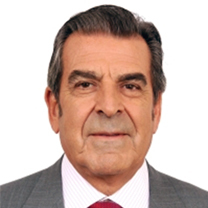 During President Piñera’s previous administration (2010-2014), Mr. Yáñez served as Senior Advisor on international and regulatory affairs to the Presidency of the Republic, where among his duties he developed foreign policy proposals and oversaw the implementation of domestic policy initiatives for different Ministries. Prior to his new position, he worked as Director of Financial Advisory Services at Deloitte, where he led the Business Intelligence and Anticorruption, Compliance & Regulatory Advisory service lines. 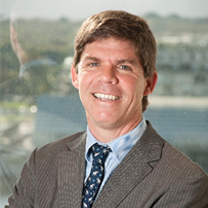 He was ranked by Chambers & Partners Latin America 2018 as a Leading Practitioner in the field of Compliance. 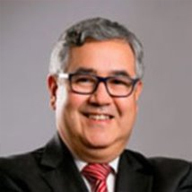 Mr. Yáñez was also a member of the Panel on Public Works Concessions (2014-2018); Board Member of Chile’s Public Enterprise System (2013-2014); and International Cooperation Agency Board (2012-2014). 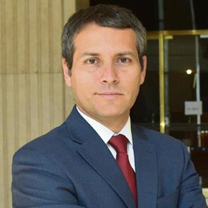 Ambassador Duarte is the Ambassador of Paraguay to India and Former the Economic and Commercial Counselor at the Embassy of Paraguay in Washington DC. 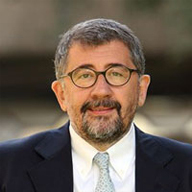 Ambassador Duarte has professional expertise of more than 25 years in the field of Economics, has participated in several negotiations on trade facilitation, and designed finance programs for value chains, including budgeting, program planning, project management and staff training and development. 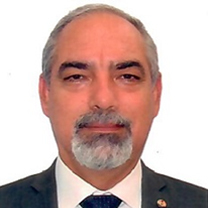 He previously held the positions of President and CEO of the Paraguayan National Petroleum Corporation, Director of the Central Bank of Paraguay, Project Manager at USAID and various other managerial positions in international and multilateral organizations. He has also accomplished the creation of the first Country Development Bank in Paraguay. As a Development Finance Advisor, he helped to create highly productive, efficient and quality-driven financial institutions in complex, critical economic, political and social environment. 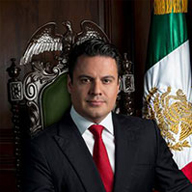 Ambassador Duarte has a Master’s in Public Policy and Administration from Harvard University and Banking and Finance Specialization from the University of Wales. 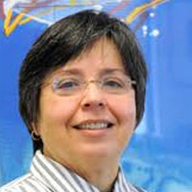 Ms. Bárcena assumed office as the Executive Secretary of the Economic Commission for Latin America and the Caribbean (ECLAC) on 1 July 2008. She had previously served as the Under-Secretary-General for Management at United Nations Headquarters in New York, Chef de Cabinet and Deputy Chef de Cabinet to the former Secretary-General, Mr. Kofi Annan. 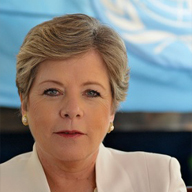 She also held the post of Deputy Executive Secretary and Director of ECLAC’s Environment and Human Settlements Division. Prior to her time at ECLAC, Ms. Bárcena served as Coordinator of the Latin American and Caribbean Sustainable Development Programme of the United Nations Development Programme (UNDP), responsible for the Environmental Citizenship Project at the United Nations Environment Programme (UNEP). Ms. Bárcena was the Founding Director of the Earth Council in Costa Rica, a non-governmental organization in charge of follow-up to the agreements reached at the United Nations Conference on Environment and Development (UNCED) held in Rio de Janeiro, Brazil, in 1992. Ms. Bárcena has published numerous articles on sustainable development, public policy, environmental issues, and public participation. Alicia Bárcena holds a Bachelor of Science degree in Biology from the National Autonomous University of Mexico (UNAM, in Spanish), as well as a Master’s degree in Public Administration from Harvard University. She has completed the courses for a degree of Master in Ecology, and has initiated studies for a PhD degree in Economics at the UNAM. She has been awarded an honoris causa doctorate by the University of Oslo, Norway, in September 2014, and by the University of Havana, Cuba, in March 2016. In July 2014, she was appointed by the National Autonomous University of Mexico as extraordinary teacher to collaborate at the Economics School and other entities. Mr. Mittal is Vice-Chairman of Bharti Enterprises, one of India’s leading business groups with interests in telecom, agri-food business, financial services and realty. 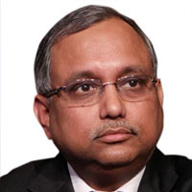 Rakesh serves as Chairman-Bharti AXA Life Insurance, Bharti AXA General Insurance and FieldFresh Foods. 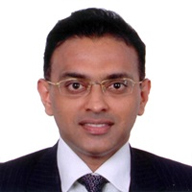 He is also on the Board of Bharti Airtel and is Managing Director -Bharti Realty Holdings. Bharti has joint ventures with several global leaders: Singtel, AXA, Del Monte, SoftBank and Brightstar. 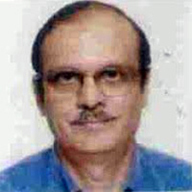 Mr. Mittal serves on Boards of several educational institutions – Indian School of Business (ISB), Chairman -Advisory Council of Bharti Institute of Public Policy at ISB Mohali, Co-Chairman-Advisory Board of Bharti School of Telecommunication Technology & Management, IIT Delhi and Member of the Court, Bennett University. 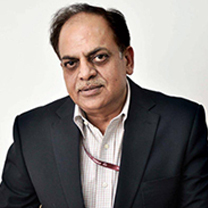 Mr. Mittal is also a member of the Governing Board of Dayanand Medical College & Hospital, Ludhiana. Mr. Mittal has been awarded the Honorary Doctor of Civil Law Degree by Newcastle University, UK and is the recipient of the prestigious Horasis – India Business Leader of the Year 2016 (Internalization) and LMA – Entrepreneur of the Year Award 1992. 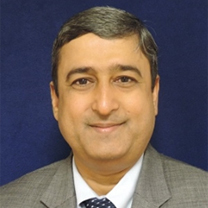 Mr. Banerjee is the Director General of Confederation of Indian Industry (CII). 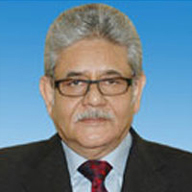 He has been with the CII for over 26 years and has been the Director General May 2008. 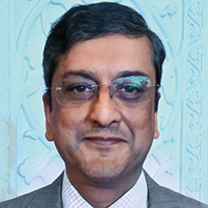 Mr Banerjee is in various advisory committees of the Government of India. He is the Vice Chairman of the Asia Pacific Chapter of UFI, The Global Association of the Exhibition Industry. 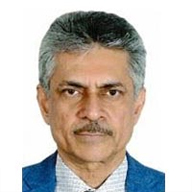 He is the Co-chairman of the Governing Council, Overseas Indian Facilitation Centre (OIFC), a not for profit public private initiative of Ministry of Overseas Indian Affairs (MOIA) and CII, established in 2007. He is a Member of the World Economic Forum’s Global Agenda Council on India. 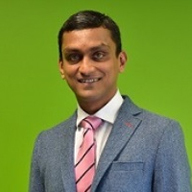 Mr Banerjee is also a Member of the Board of Governors of Indian Institute of Management (IIM), Ranchi. Mr Banerjee has been honoured with the China-India Friendship Award by the Chinese Premier Wen Jiabao for his contributions towards the development of bilateral ties between India and China. 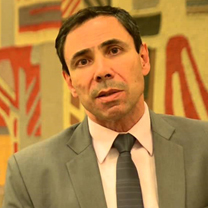 Mr. Carrera joined CAF Development in 1999 and has been the Vice President of Country Programs since 2018. He is responsible for the design and implementation of the relations strategy with the institution’s shareholders; and for the operations programming of the bank. Previously, he was the Corporate Vice President of Social Development and the Environment. In this capacity he also served as member of the Scientific Program Committee of the Stockholm International Water Institute SIWI and as Governor and member of the Steering Committee of the World Water Council WWC. Prior to this designation, he worked as the Country Director of CAF in Bolivia. In Ecuador, his native country, he served as Vice Minister of Economy and Finance; as well as Undersecretary of Budget and Treasury. 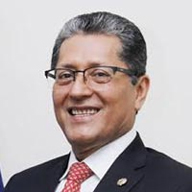 Along with those duties he was simultaneously the Alternate Governor of Ecuador to the World Bank (WB) and to the Inter-American Development Bank (IDB). 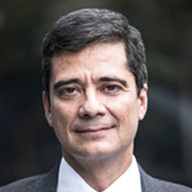 His experience in the public sector includes several high-level positions at the Central Bank of Ecuador, the Ecuadorian Institute of Electricity; PETROECUADOR; National Stock Council and the Council of National Security of Ecuador. In the private sector he has worked as member of the board of directors of various financial institutions. 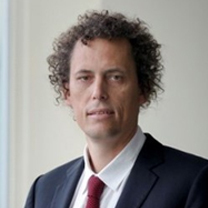 He has several publications on inequality, water, cities, poverty and fiscal policy. 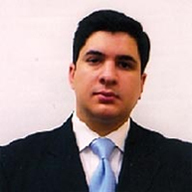 Mr. Carrera is an Economist from the Pontificia Universidad Catolica del Ecuador and holds a Master’s Degree and Doctoral Studies in Economics from the University of Notre Dame, USA. 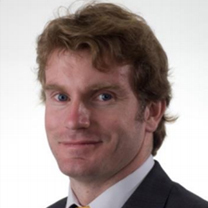 Mr. Wurmann leads the strategy of Tata Consultancy Services in Latin America to expand customer relations, its operations and its participation in the region. He leads a group of 14,000 employees in the Global Delivery Centers in Argentina, Brazil, Chile, Ecuador, Colombia, Mexico, Uruguay and Peru. 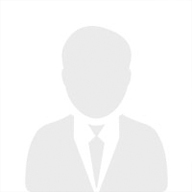 He has seven years of experience in TCS occupying different positions: Segment Head for the Telecommunications Industry, Chief Financial Officer (CFO) in Chile, Ecuador and Peru, and General Manager of the CEO office. Before joining TCS, Mr. Wurmann worked in the International Financial Industry in New York. He holds an MBA from Babson College, USA. Mr. Finat is an Electrical Engineer from the University of Chile. 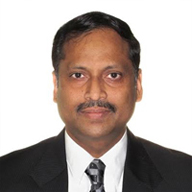 He has extensive professional experience in the energy, mining, information technology, defense and automation industries. Mr. Finat has a solid experience in the electricity regulation sector, regulatory and operational framework of the CDEC, power supply tenders, negotiation of power and LNG contracts, and GHG emissions and energy management, among others. In 1999, he was appointed Director of Operations and Wheeling at the Independent System Operator of The Interconnected System of the North (CDEC-SING). 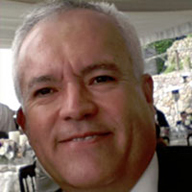 In late 2008 he joined Compañía Minera Doña Inés de Collahuasi, where he served as Strategic Supply Manager, VP (I) Administration and Services and Energy Manager. Simultaneously, he joined the Board of the CDEC-SING, where he represented large customers, and was also elected as Chairman for the period 2011-2012. Mr. Finat was a member of the Executive Committee of Energy Scenarios (2013-2014) and Scenarios Building Group of MAPS Chile (2009-2015). He joined the Energy 2050 Advisory Council, in charge of drafting a 2015 roadmap, which was the main input for the country´s Long Term Energy Policy, announced by the Ministry of Energy at the end of that year. 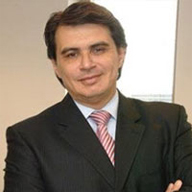 In September 2012 he left Collahuasi and joined ACERA A.G. as its Executive Director. 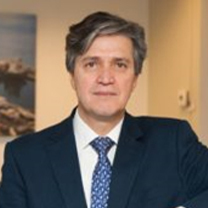 He is member of the Permanent Presidential Advisory Commission on Climate Change of the Government of Chile, the Development Committee of the Solar Energy Industry of CORFO and the External Advisory Committee (CAE) of the Department of Electrical Engineering of the University from Chile. Mr. Seebach is an Industrial Electrical Engineer from the Catholic University of Chile, with a Master of Science in Management Science and Engineering from Stanford University. He currently leads Generadoras de Chile, the business association of Chilean electricity generators, as its Executive President. Mr. Seebach has worked in the public and private sectors, academia and civil society, in a broad range of areas including public management, government reform, education, public private partnership, poverty, infrastructure and energy; he is Co-Founder of Enseña Chile (part of the Teach for All network); Elige Educar; the B company Próxima Servicios; and the infrastructure developer Nueva Vía. 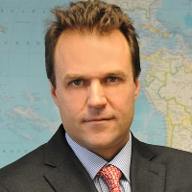 Mr. Seebach has previously served as Head of the Inter-Ministerial Coordination Division in Chile’s Ministry of the Presidency; Executive Director of the Public Policy Center and the Catholic University of Chile; advisor in the cabinet of the Minister of Public Works, Transport and Telecommunication; and as the National Director of the NGO Un Techo para Chile. Mr. Mendes is Director-President at ANVISA. He graduated as a Dentist surgeon from the Faculty of Dentistry of the Triângulo Mineiro. 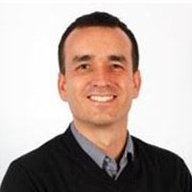 Mr. Mendes has previously been a lecturer at the Department of Dental Materials and Prosthesis at the University of São Paulo. 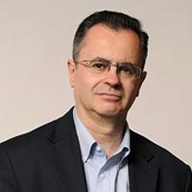 He began his career in the SUS and held different positions in the Health Department of Ribeirão Preto (SP), followed by the Department of Informatics of the National Health System (Datasus), Ministry of Health, as General Coordinator of Project Management. He was also the General Coordinator of Promotion and Technical Cooperation and Substitute Director. In 2011, he worked at ANVISA as Manager of Information Systems and in 2014 as Deputy Director of the Coordination and Articulation Directorate. 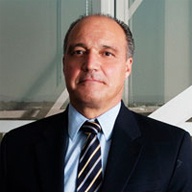 Mr. Uranga is General Director of Investments at the Argentina Investment and Trade Promotion Agency. Before joining the Agency, he was Global Business Director at Exiros Uruguay (Techint Group), responsible for an 80-people team based in 14 different countries that purchased and traded commodities, industrial and capital goods for 4 BUSD per year. He has also worked at Nidera, a leading Agroindustrial and trading company in Argentina and at Ariba, a technology company in USA and Mexico. 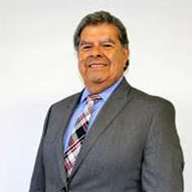 Mr. Uranga holds an MBA from the University of Pittsburgh, Pennsylvania, (2001) and a B.S. in Business Administration (1993). 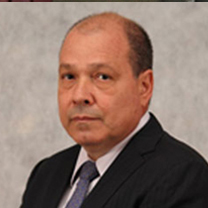 Mr. Escobar is an Industrial Civil Engineer with a Degree in Electricity from the Pontifical Catholic University of Chile, and a Master in Economic Regulation from the Adolfo Ibáñez University. 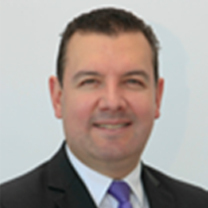 Mr. Escobar is currently General Manager of ACCIONA Energy Chile (a company of the ACCIONA group), which is dedicated to electricity generation based on renewable energy projects, mainly wind and solar. ACCIONA Energy is a pure player in renewable energies present in more than 20 countries. 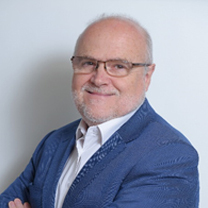 He is also President of the Chilean Association of Renewable Energies (ACERA), founder of the Association of Entrepreneurs of Chile (ASECH) and was Director of the Association of the Electrical and Electronics Industry (AIE). 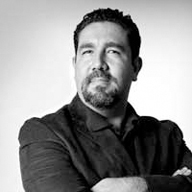 During his career, Mr. Escobar has dedicated himself to promoting the development of Non-Conventional Renewable Energy in Chile and Latin America. This is through the promotion of regulatory mechanisms for the industry, in order to facilitate investment and development based on clean energy. 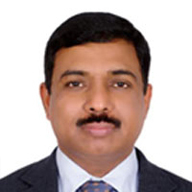 Mr. Santosh Kulkarni is the Vice President of Kirloskar Brothers Pumps LLC – SPP Pumps Inc., USA, companies of Kirloskar Brothers Limited (KBL), the flagship company of the 130 Years and US $ 3.0 B Kirloskar Group from India. KBL is India’s largest manufacturer and exporter of pumps and the largest infrastructure pumping Project Company in Asia. The core businesses of KBL are large infrastructure projects (Water Supply, Power Plants, and Irrigation), Engineered Pumps, Industrial Pumps, Agriculture and Domestic Pumps, Valves, Motors and Hydro turbines. In keeping up with the group motto of “Enriching Lives”, KBL remains committed to deliver cost effective solutions in the area of hydraulic machines and systems and also contribute to the nation building through efficient products and services. 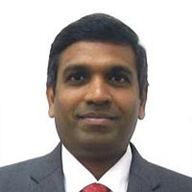 Mr. Santosh Kulkarni holds a Bachelor’s degree in Engineering from India and specializes in Mechanical engineering. 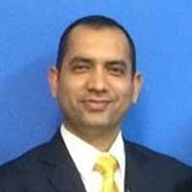 Mr. Kulkarni joined KBL at the age of 22 and with over 30 years’ experience in Global Sales and Business development became the Vice President to lead the KBL USA operations in 2005. Over the past decade KBL- SPP Pumps USA has become a leading pumping equipment supplier in USA and the Central & South American region. A citizen of USA, born & lived in India, and travelled widely to over 55 countries including in Asia, Middle East, North Africa, Europe, USA, Canada, Caribbean, and Central & South America. JK Tornel, S. A. de C. V.